Three spring systems to take you to a higher dimension of relaxation. Imagine that you are weightless. You don't need to tense a single muscle. Your entire body is in perfect harmony. 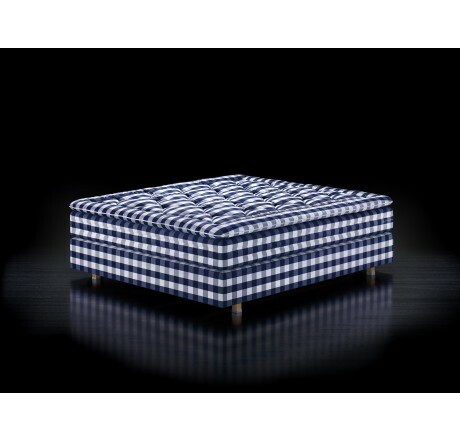 This is the idea with Hastens Herlewing. With three interacting spring systems plus 31 hand ­wrapped layers of our very finest natural materials, we want to take your sleep quality to a new level. 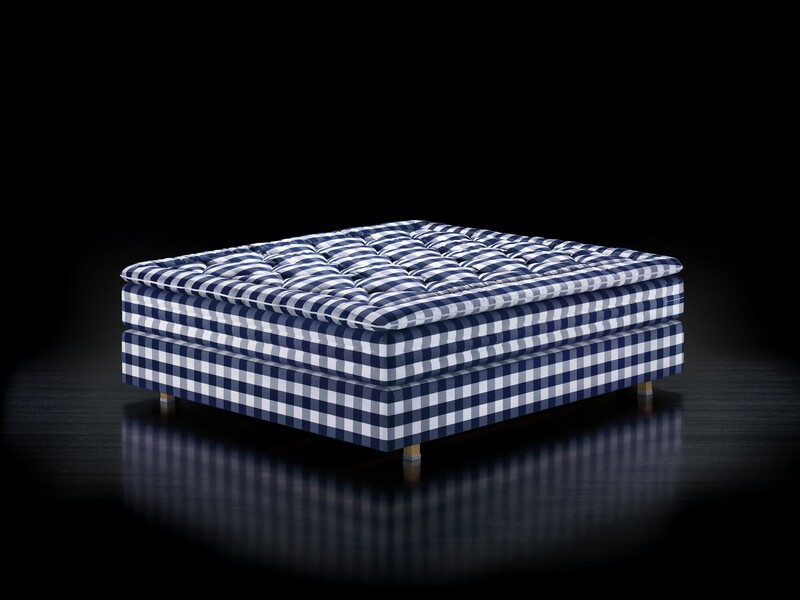 Hastens Herlewing is based on the same advan­ced spring system that we developed for Hastens 2000T. The springs in the middle mattress are fitted one by one and react individually to pressure. The effect is unparalleled: Two people in the same bed each lie in their own sphere, together yet independent without their movements affecting each other. But that's not all. There are two more spring systems in the base of the bed. Each is carefully adapted to the other and together they provide deep support to every part of your body. No matter how you lie, the bed adapts precisely to your body's needs. Selecting the finest wool, cotton and horsetail hair for your Herlewing bed is just the start. We assemble these materials by hand using a unique layer-by-layer technique refined for over a century by our skilled master bed builders. It's chat combi­nation of uncompromising material selection with uncompromising craftsmanship that produces the softness and unique pliable firmness of our beds. A gravity-defying sensation that will change your view of comfort forever. 173.4 kilograms that put you in perfect balance. 1 pocket spring system. 15 cm high, with springs that act individually and never hook into each other. 4 reinforced corner sr;,rings (covered in soft flax), to ensure both comfort and stability when you sit on the edge. 1 Bonnell spring system, 8 cm high, with machine­ knotted coil springs. YOUR BODY IS UNIQUE. YOUR HERLEWING CAN BE TOO.